.Quilt and Embroider horizontally alongside the width of fabric. Especially for the horizontal and straight quilting & embroidery designs on the fabric. 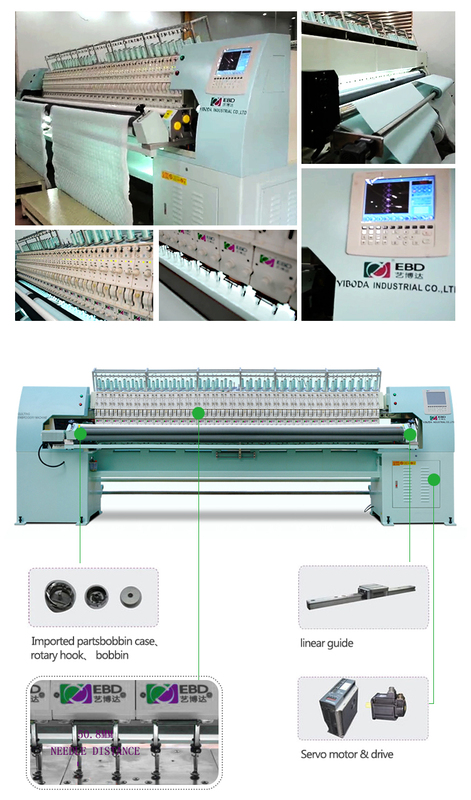 .Use 2 independent servo motors to control movement in Y direction and repair independent patterns, that effectively solved the pattern distortion caused by sewing 2 rolls of materials with different shrinkage, thickness on the machine and sewing different patterns on the 2 rolls of different materials. Q1: How many days about delivery time? T/T, Irrevocable Sight L/C, Western Union are availble. Q3: What's normal payment term? FOB Shenzhen usually, C&F, CIF are available. Q4: Which sea port nearest? Shenzhen Port is nearest. Any port of China is ok.
Q5.Can you provide OEM service? Q6:Can you provide OEM/ODM service? 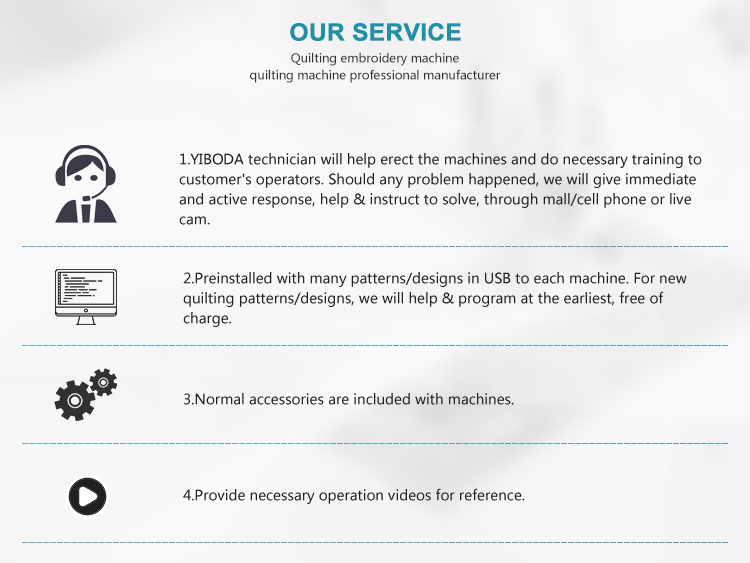 We can provide OEM/ODM service. 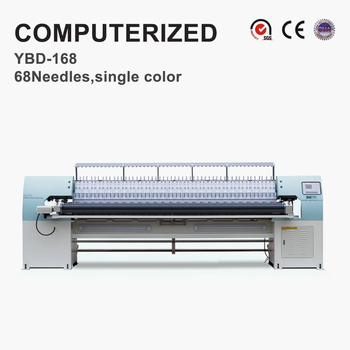 Customized machine for you based on your special quilts size. 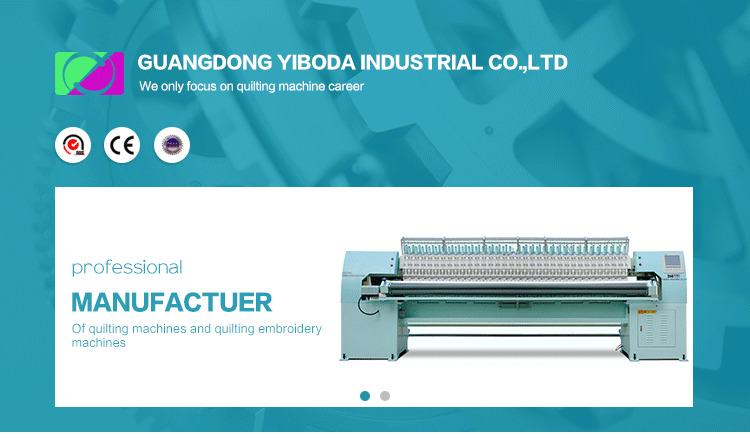 Also can manufacture machine under your brand. Q7: Machine should match other machine to use? Quilting Embroidery Machine match fabric winder to use.